I suffered from multiple symptoms which I now know that were most probably caused by Gluten Sensitivity. I have been gluten free now for nearly three months and most all of my stomach issues have improved but my non viual tremors (though less severe) continue. These drive me mad, I try to talk to people and I feel like my chin is quivering, I get them at night when I am trying to sleep. My fingers tingle my hands feel weak. They are very frustrating. I have been taking 6000 units of Vitamin D3 per day (my levels were 12 and now in the 40's, magnesium supplements, getting Vitamin B12 Shots and a few other things. Can you suggest something that might help these frustrating tremors or do you think they will just diminish as time goes on? Thank you for all of your help, I have learned so much reading from your web site, you do a fabulous job. Thanks for the compliment and thanks for reading so much and trying so many comprehensive things that I outline before asking a question. I would have told you to do a LOT of what you are doing, so you've covered a LOT of the bases already. But a couple of thoughts. Increasing your vitamin d level so much in a short amount of time may be really burning up a LOT of magnesium. 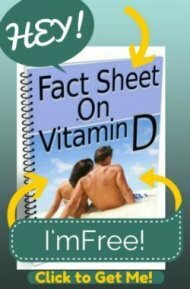 See the page on Magnesium and Vitamin D to see what I mean. So, you may be using up as much magnesium as you are taking and not actually 'fixing' any deficiency that you may have had prior to this new regimen. So, take a look at the Magnesium Dosage page if you're not already following that protocol. If you're not doing that, then that would be the first thing to do. 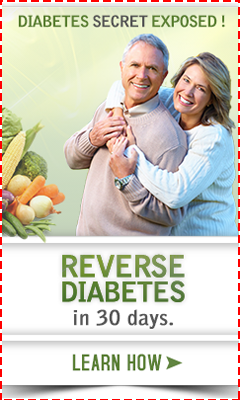 If you ARE already doing that, then you may not be absorbing the magnesium due to some other deficiency. If you were really not absorbing well with your gluten sensitivity, then vitamin d, mag and b12 are only the tip of the iceberg. While I'm not a big fan of calcium, you may need to take some calcium for a while to get you 'over the hump' and lack of calcium often causes a lot of the same symptoms as magnesium deficiency. And you can't absorb magnesium without adequate Vitamin B6, so getting on a good B Complex for a while may be necessary too. Are you on a multivitamin? If not, then I'd recommend a GOOD quality professional brand such as Ultra Preventive III or Beyond Any Multiple, both of which have a good amount of B6 in the daily dose and will cover you for any other deficiencies that you might have. Another thought, too, is that you may also need some hydrochloric acid supplements for a while in order to help you to digest a bit better. See my page on Hydrochloric Acid Deficiency Test to see if you might benefit from that. Give that a try and see if that helps out. If it doesn't, then you may want to get invest in a Nutrient Deficiency and Detoxification Test to find out what else you might be missing.